A deadly cancer linked to breast implants has been found in additional women in the United States, federal health officials said. At least 457 women in the United States have so far been diagnosed with anaplastic large cell lymphoma, the Food and Drug Administration said in a statement Wednesday . Of those, nine have died as a result of the rare cancer, which affects cells in the immune system and can be found around the breast implant. Women with breast implants have an increased risk of developing anaplastic large cell lymphoma, the FDA has said, compared to women who don't have breast implants. "We hope that this information prompts providers and patients to have important, informed conversations about breast implants," the federal agency said. The FDA also issued a letter warning those in the medical field of the association between breast implants and anaplastic large cell lymphoma. "We want all healthcare providers to be aware ... particularly in patients with new swelling, lumps, or pain around breast implants, to expedite diagnosis of this malignancy," the letter said. "We are also asking health care providers to report to the FDA cases of Breast Implant Associated - Anaplastic Large Cell Lymphoma. (BIA-ALCL) in patients with breast implants. This includes reporting individual cases as well as rates you may have experienced during your practice." Most of the cancer cases occurred in people who had textured surfaces on their implants, rather than smooth surfaces. The illness is slow-growing and treatable when it's detected early. "When breast implants are placed in the body, they are inserted behind the breast tissue or under the chest muscle," the letter said. "Over time, a fibrous scar called a capsule develops around the implant, separating it from the rest of the breast. In patients with breast implants, reported cases of BIA-ALCL were generally found adjacent to the implant itself and contained within the fibrous capsule." About 10 million to 11 million women in the world have breast implants, according to the American Society of Plastic Surgeons and the Plastic Surgeon Foundation. 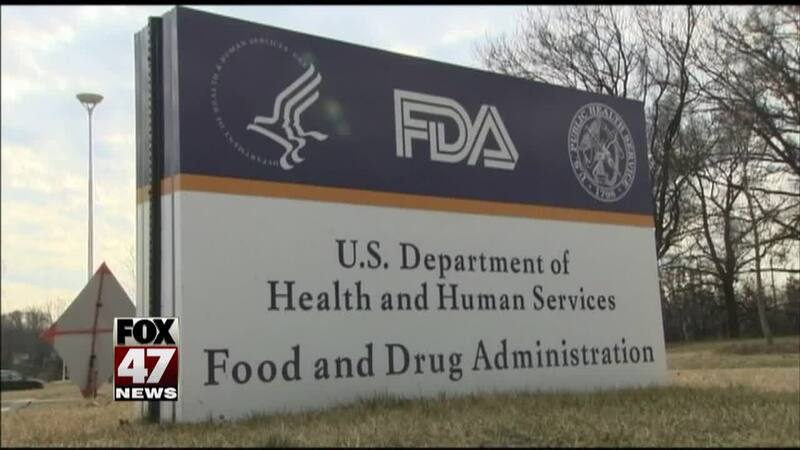 The FDA first raised the possibility of the illness in 2011, saying there was a small but significant risk of developing the cancer after getting breast implants. It asked doctors whether they'd noticed changes in their patients and urged women to check for symptoms such as fluid buildup or a mass around their implants. Symptoms of the cancer also include swelling and redness around the breast implants. Since that report, the scientific community has learned more about the link between breast implants and anaplastic large cell lymphoma. People who are considering getting the surgery should do their research and discuss with their surgeons the risks and benefits of textured- and smooth-surfaced implants, the FDA has warned in the past. It said those who have breast implants should monitor them for any changes and get routine screenings such as mammograms or MRIs.